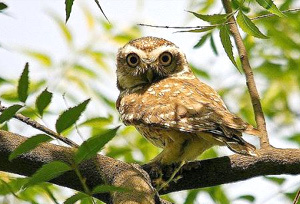 Sultanpur National Park, formerly known as Sultanpur Bird Sanctuary, is located in Gurgaon district in Haryana in Sultanpur area to derive the name of the park where tremendous varieties of avi-faunas can be illustrated. 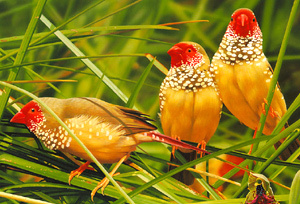 Located 40 kms from Dhaula Kuan and just 15 kms away from Gurgaon, the industrial hub of the capital city, on the way to Gurgaon - Farukh Nagar Road, this place is the most preferred place for the bird lovers and the ornithologists. With tropical climate in the region, winters are found very chilly here with scorching summers when the bird counts are found low. Monsoons are very pleasant here that starts in the month of July to continue till September. Although the tourists prefer winters to visit this sanctuary so as to find the maximum counts of migratory species in the area. History The area Sultanpur was named after the descendant of Harsh Dev Chauhan, Sultan Singh who occupied maximum villages through his chivalry acts where this land was the biggest in area and proved to be the most trading place especially for the salt production in the area during the colonial era. But apart from the political history, the area as a sanctuary was first noticed by an ornithologist and Honorary Secretary of Delhi Bird Watching Society, Mr. Peter Jackson. He wrote a letter to the prime minister of India Indira Gandhi in 1970 and demanded the need to declare the area as a bird sanctuary. Followed by the letter, the prime minister instructed the chief minister of Haryana to protect the area of Sultanpur Lake and then in the year 1972, the Sultanpur Bird Reserve was established and then twenty years later, the area was upgraded as national park in 1989. The area which is spread over the parameter of 1.43 sq kms to support over 250 species of birds is today revived artificially by using pump water from Yamna River to sustain the migratory counts of avi-faunas. Migratory Birds Every year during monsoons and winters over hundreds of migratory bird species visit here in search of shelter and feed. During the peak season the whole aroma of the sanctuary turns blissful with the presence of migratory birds such as Siberian Crane, Greater Flamingo, Common Teal, Common Greenshank, Ruff, Black-winged Stilt, Northern Pintail, White Wagtail, Northern Shoveler, Yellow Wagtail, Rosy Pelican, Spot-billed Pelican, Gadwall, Wood Sandpiper, Spotted Sandpiper, Eurasian Wigeon, Black-tailed Godwit, Spotted Redshank, Blue-cheeked Bee-eater, Starling, Blue-throat and Long-billed Pipit. Summers bring the sanctuary more colorful with about 11 species of migratory birds such as Asian Koel, Black-crowned Night Heron, Blue-tailed Bee-eater, Indian Golden Oriole, Grey heron, Comb duck, and Cuckoos. In addition to such great species of Avians, mammals likes Blue Bull and Black Buck are also seen here. The vegetation of this park is tropical and dry deciduous and the flora include grasses, dhok, khair, tendu, ber, jamun, banyan tree, neem, berberis, Acacia nilotica and Acacia tortilis. Delhi - 45 kms away from the area, the capital city is the most prominent place to attract tremendous tourists. People can go for Mughal architectural wonders like Red Fort, Jama Masjid, Qutub Minar along with other attractions like Chandni Chowk, Lotus Temple, Akshardham Temple along with wandering around the great infrastructure of the city and the rushy-mushy metro live. Jaipur - 238 kms from the national park, the capital city of Rajasthan, Jaipur serves the best wonderland for India Tourism. Explore the colorful culture and the ancient legend of the Rajputana lives at gigantic havelis, palaces, museums and forts. To name a few City Palace, Hawa Mahal, Amber Fort, Jal Mahal, Alber Hall Museum attract tremendous tourists every year for a glorious India tour. Agra - The land of Taj Mahal, Agra is the famous city located simply 251.9 kms from the park to visit the world famous Taj Mahal along with other Mughal architectural surprises including Red Fort, Moti Masjid, Fatehpur Sikri and more. 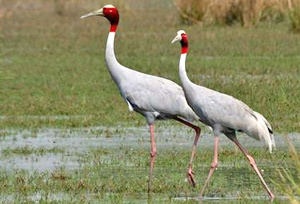 Safaris in Sultanpur During the ideal period of September to March, the ornithologists and the bird-lovers can make a sure shot visit in this area where safari is not available but the tourist can enjoy nature's walk in area during the day time. Although the park is open throughout the area for the people to enjoy picnic and lucrative moments here. By Air : 45 kms away in Delhi at IGI Airport, the tourists can de-board themselves to reach the sanctuary within 20 minutes. By Rail : The New Delhi Railway Station is the nearest station for the ornithologists to catch the tremendous species of avi-faunas. Accomodations/Hotels at Sultanpur Since Sultanpur Bird Sanctuary is located in the area which is very closer to the capital city of India, the tourists can make a complete holiday tour in Delhi and the nearby places also. So, the provinces of accommodation are not a big deal in this location and the tourists can find the maximum options of hotels in Delhi and NCR area. From luxury five star hotels to standard budget hotels, the list is simply endless and one can put his fingers anywhere in the town.